Swim lessons are available for youth and adults in group, semi-private, and private sessions which are available at select times year round. Evening Group Lessons meet once a week for eight weeks. Semi-private lessons are for groups of 2-3, children or adults, who are more comfortable in smaller settings. 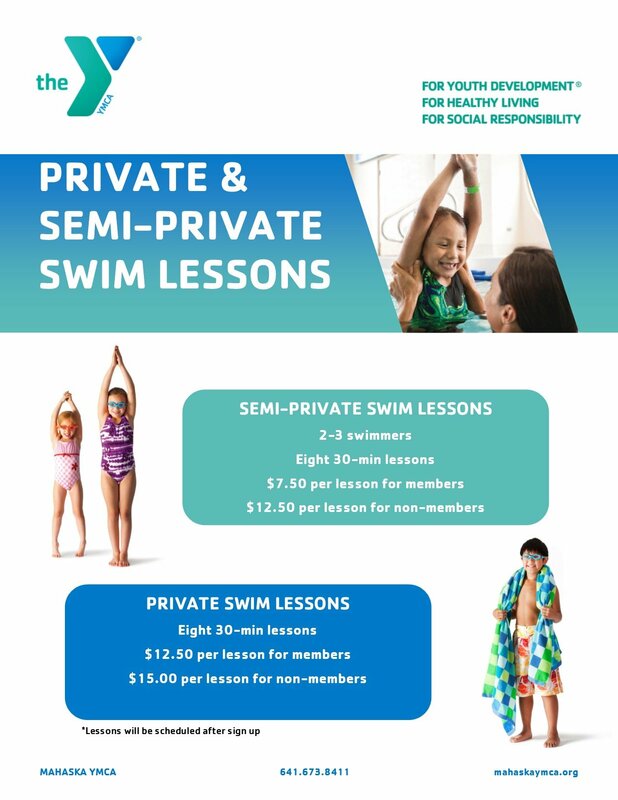 For private lessons, the Y places swimmers with qualified instructors who work with individuals schedules. This is an opportunity for children of any age to learn to swim with parents or adults who have children in their care. Some children feel more comfortable with adults they trust and this class gives everyone the a peace of mind while learning the important skills of swimming. These classes are designed to encourage children to experience, explore, and test the aquatic environment by responding with body movements and emotions with the assistance and encouragement of their parents. 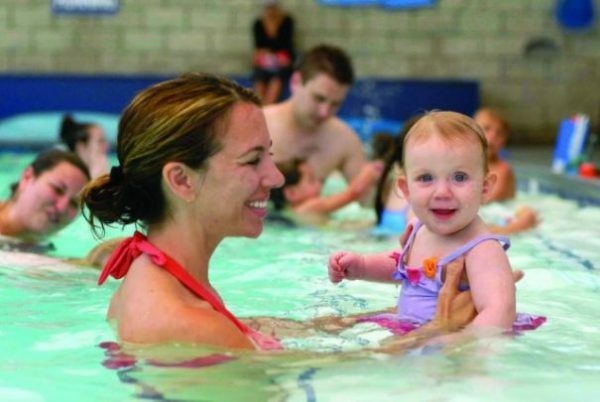 Waterbabies classes are held Saturdays from 10:15 to 10:45 a.m. Waterbabies is designed for children 9 months to 2 years of age. Note: Adult must attend and be in the pool with baby and swim diapers are required. Water tots is for children and parents to do the lessons together. This is an opportunity to explore the being in the water and start to feel confident swimming. 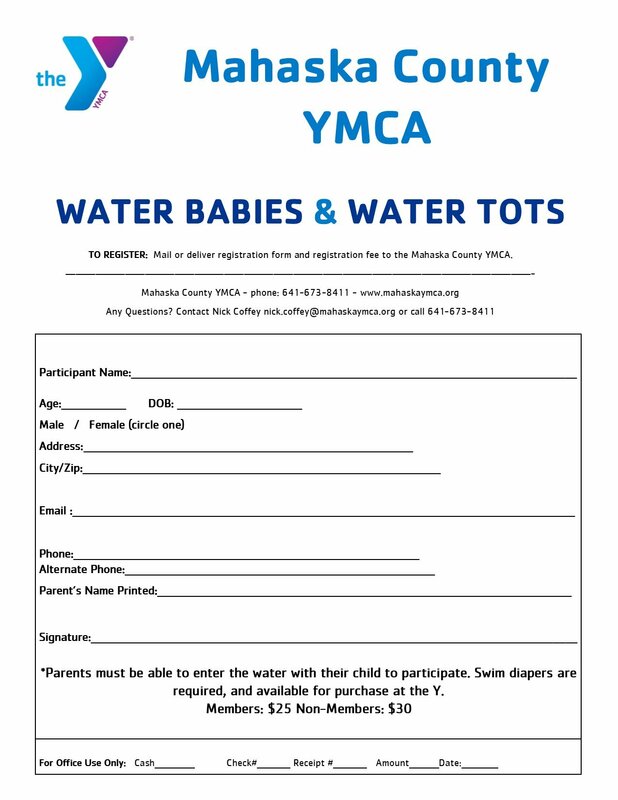 Classes are held Saturdays from 11:00-11:30 a.m. Water tots is designed for children 3 to 4 years old. During any Mahaska County YMCA Open Swim time, families can come splash and play, swim enthusiasts can do laps, and those learning to swim can get extra practice on their own time. Special lap swimming tips and instructions are listed with the YMCA Pool Schedule. Open and Lap Swim are included in the basic membership package. Stroke clinics offered in the fall for children who are interested in joining the swim team. The clinic is designed to teach proper competitive stroke technique in freestyle, backstroke, breaststroke, and butterfly. 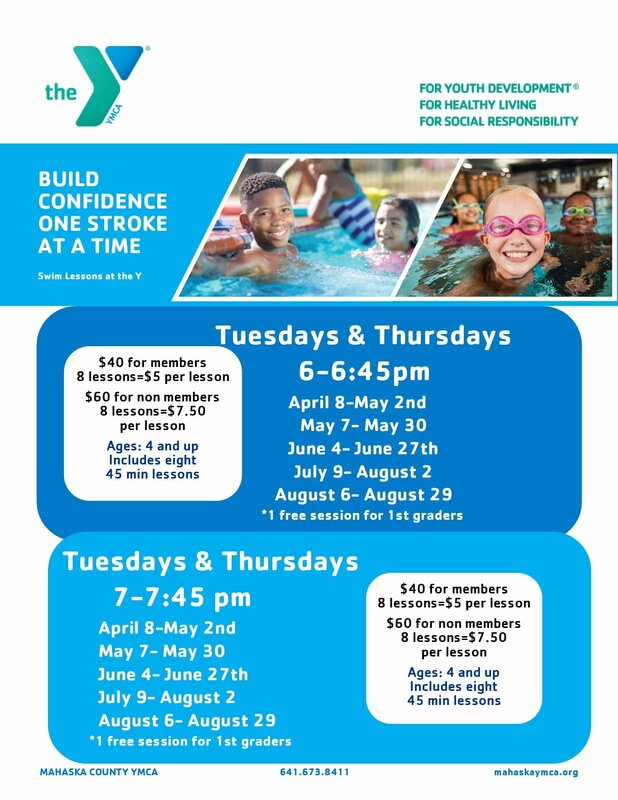 This four-week program helps swimmers develop and maintain their muscular endurance while focusing on improved skills and swim times.